Operating as one team, we celebrate the more than 210,000 individuals who make us better. We value the collaboration and respect between us that make us stronger, and we cherish the differences that make us richer. 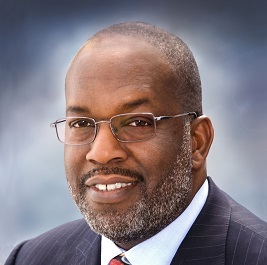 Diversity, inclusion, and culturally competent medical care are defining characteristics of Kaiser Permanente's past, present, and future. From recognizing the powerful contributions of those with disabilities, to supporting those who served in our military with the means to enhance their skills, maintaining industry-leading levels of diversity and inclusion not only fills us with pride, but enables us to fulfill our mission, sustain our business objectives, and provide the best high-quality care to our members and patients. Recognized on the2017 LATINA Style 50 Report for generating great opportunities for Latinas in the U.S.
At Kaiser Permanente, we operate as one team and one family. Our richly diverse and tight-knit community consistently offers networking, mentoring, skill building, and support. Not only that, we also deliver powerful programs that connect co-workers in meaningful ways, including career, culture, and community groups. With thousands of members of our workforce currently participating, these Business Resource Groups (BRGs) allow close circles of peers to connect in meaningful ways. Dedicated to providing opportunities for networking, collaboration, and professional development to engage and inspire KP's future leaders. Advancing KP's mission by promoting professional development and culturally competent care with a strong focus on our Asian and Pacific Islander communities. Empowering employees with disabilities to optimize their talents and achieve their goals. Inspiring and empowering KP's LatinX communities to achieve their full potential at all levels, thereby enhancing our shared success. Giving a voice to the strengths and needs of KP's military community and advocating the rights and respectful treatment of veterans around the world. Striving to make KP the employer of choice and the national leader in the delivery of sensitive, quality health care to the LGBT community. Inspiring and empowering KP employees to actively develop professionally and personally through workforce, community programs and resources with a focus on the unique aspects of women. The KP Armenian Connection exists to encourage professional growth and provide its members with a forum for career development. A proud member and supporter of our Native American communities, we forge valuable inroads and promote and celebrate our native culture. Transforming our workplaces and communities into inclusive environments where individuals are valued for their talents and empowered to reach their potential.